Those who desire to achieve greater traction for ethical principles in guiding solutions to global sustainability problems including but not limited to climate change need to understand the barriers and opportunities presented by current global governance regimes. 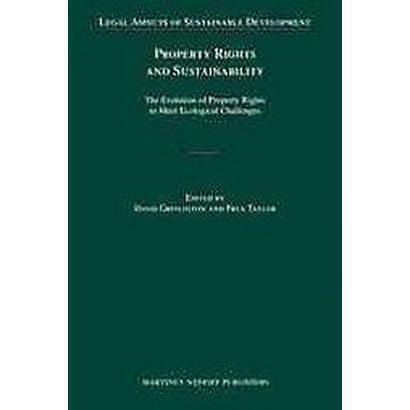 Although many, if not most sustainability problems, can be adequately dealt with at the national, regional, or local government level, some sustainability problems can not be solved without global cooperation that is mindful of the strengths and weaknesses of global institutions and the role of international law. Professionals in law, environmental planning and science, policy makers, researchers and students of international law and governance with respect to sustainability and the natural environment require an understanding of the ethical questions at the center of international environmental and sustainability controversies in order to achieve greater traction for ethical principles in government decision-making. 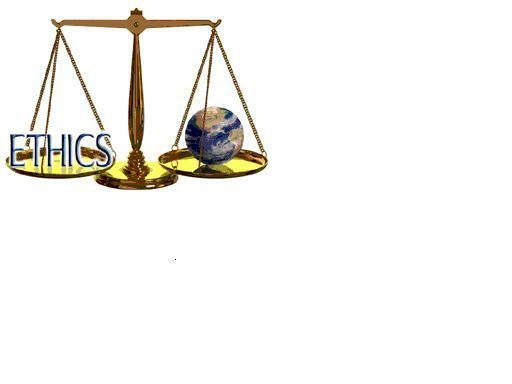 Also a comprehension of the strength and weaknesses of global governance systems is essential for those who seek to work on ethically based global solutions to the world challenging global sustainability issues. This the first in a series of five articles that will examine a disinformation campaign about the United Nations program on environment and development, Agenda 21. As we will see, this campaign has been surprisingly successful in the United States in undermining land use, transportation, and energy planning, and environmental regulation at the local and regional government levels. Citizens may have many legitimate reasons to oppose elements of land use plans about which they have a right to contest. In fact, their involvement in local government decision-making may constitute an exercise of citizen virtue. Citizens may also need to participate in land use decision-making to protect rights of various types, including but not limited to, property rights. Yet, claims being made by the anti-Agenda 21 campaign are so demonstratively false, misleading, and deceitful that they fail to pass ethical scrutiny. As we shall see, many of the claims being made by the anti-Agenda 21 campaign are not only without confirming evidence, they are directly contradicted by the text of Agenda 21 itself, woefully ignorant of the limited role of the United Nations in the world, and deeply misleading about what Agenda 21 is and its effect of on the United States. The misleading claims of the anti-Agenda 21 campaign also have had consequences. As we shall see, the anti-Agenda 21 campaign has been successful in preventing citizens at the local and regional level the United States from organizing their communities to protect open spaces, reduce traffic congestion, provide public transportation, protect water and air quality, construct bike lanes, and achieve other community benefits that can only be achieved by responsible land-use planning. The anti-Agenda 21 campaign has accomplished this by making preposterous claims including that local land-use planning is part of a plot to put United Nations in control of local and regional decision-making, rob individuals of their freedoms, and undermine property rights. As we shall see in the last entry in this series, the anti-Agenda 21 campaign that is making these claims has been funded, at least in part, by economic interests that profit from the absence of responsible land use planning and environmental regulation. And so it appears that the anti-Agenda 21 campaign has been fed by organizations who believe that the United Nations is taking over the world, organizations that claimed in the past that the civil rights movement was a communist plot. The conclusions of the anti-Agenda 21 campaign are so obviously inconsistent with the facts about Agenda 21 that many who are familiar with Agenda 21 have ignored this phenomenon on the basis that is so loony, delusional, or wacky that it could not gain traction in any 21st-century democracy. Yet as we will see, the anti-Agenda 21 campaign has had growing success in thwarting the implementation of local communities preferred visions of the future that have been derived cooperatively in mufti-stakeholder and citizen discussions. 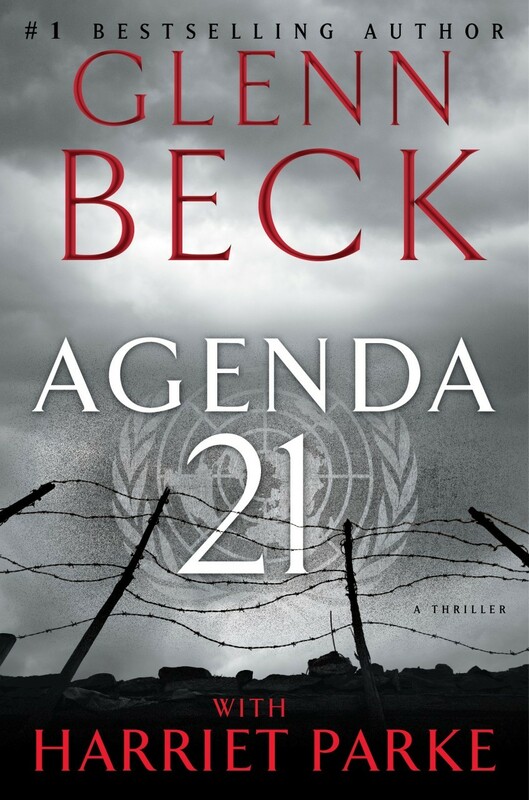 In a recent article in EthicsandClimate.org Professor John Dernbach concluded that “a well organized campaign against Agenda 21, spread by the Tea Party, Glenn Beck, and the John Birch Society, exists” (See, Agenda 21: A Guide for the Perplexed) In this article Professor Dernbach explains : (a) how this campaign is becoming affective in the United States and is threatening to undermine US sustainability programs, the real target of this campaign; (b) what Agenda 21 is and is not, and (c) why many of the claims made by the the anti-Agenda 21 campaign are demonstratively false. Claim 1. Agenda 21 is a United Nations Program that implements extreme environmentalism, social engineering, and global political control. Claim 2 . The United Nations has covertly pushed Agenda 21 into local communities throughout United States of America through the international Council of Local Environmental Initiatives and through policies such as ” Smart Growth,” “Wildlands Projects”, “Resilient Cities”, “Regional Visioning Projects” and others with similar obscure names. Claim 3. Agenda 21 and sustainable development views the American way of life of private property ownership, single-family homes, private automobile ownership, individual travel choices, privately owned farms, and human existence as all being destructive of the environment. Claim 4. Under Agenda 21, social justice is described as the right and opportunity of the people around the world to benefit equally from the resources afforded us by society and the environment which would be accomplished by socialist/communist global redistribution of property and wealth. Claim 5. Agenda 21 attempts to erode the local control found in our communities across the nation and turns home and regional rule over to a global agenda set by a body organization authorized by the United Nations. Claim 6. Agenda 21 calls for decisions affecting local property to be made in accordance with the Charter of the United Nations rather than local property law. Claim 7. Agenda 21 means that individual rights must take second place to the rights of the collective. Claim 8. Agenda 21 calls for free enterprise to be replaced with public/ private partnership. Claim 9. In decision-making at the local level, the job of the facilitator is to guide the local stakeholder groups to accept predetermined objectives consistent with Agenda 21. Claim 10. Agenda 21 implementation will mean that people will only be able to live in the certain limited areas of the United States marked on a specific map, living in rural areas will no longer be possible in the United States. Claim 11. Agenda 21 requires that the same solutions to be applied the same everywhere in the world. Claim 12. Agenda 21 erodes American Sovereignty. The anti-Agenda 21 campaign has rapidly grown in influence in local and regional government planning decision-making in the United States in the last few years. Anti-Agenda 21 activists making arguments propagated by a few extreme right wing organizations have appeared in greater numbers at land use planning meetings of local and regional governments around the United States claiming that land use planning and sustainable development policies are manifestations of a covert United Nations plot to undermine national sovereignty, destroy property rights, implement a radical environmentalism, and destroy individual freedom. Despite the obvious delusional character of many of the campaign’s claims, this phenomenon has been remarkably successful in the last few years in defeating local land-use planning proposals around the United States, in passing anti-sustainability laws in several US states, and, as we shall see, convincing the Republican party to accept its paranoid assumptions. And so if there is any question about the power of this campaign, it is remarkable that one of the two major American political parties has uncritically adopted the claims of the anti-Agenda 21 campaign despite the fact that, as we shall see, the edifice of this campaign has been constructed of delusional, inaccurate, and demonstratively falsifiable ideas about Agenda 21. Across the country, activists with ties to the Tea Party are railing against all sorts of local and state efforts to control sprawl and conserve energy. They brand government action for things like expanding public transportation routes and preserving open space as part of a United Nations led conspiracy to deny property rights and herd citizens toward cities. In Maine, the Tea Party-backed Republican governor canceled a project to ease congestion along the Route 1 corridor after protesters complained it was part of the United Nations plot. Similar opposition helped doom a high-speed train line in Florida. And more than a dozen cities, towns and counties, under new pressure, have cut off financing for a program that offers expertise on how to measure and cut carbon emissions. Neither the state of Missouri nor any political subdivision shall adopt or implement policy recommendations that deliberately or inadvertently infringe or restrict private property rights without due process, as may be required by policy recommendations originating in, or traceable to Agenda 21, adopted by the United Nations in 1992 at its Conference on Environment and Development. The West Cornwall Township resolution is attached a Appendix A. In December of 2012, North Londonderry Township withdrew from its regional comprehensive plan that it had created with partners South Londonderry Township and Palmyra Borough. And so, Agenda 21 is being used by activists in the United States as the basis for opposing land use and economic development planning, environmental regulation, and transportation planning. Tea Party activists have recently changed their political focus from the federal government to a new perhaps more insidious target: local planning and zoning commissions, which activists claim are carrying out a global conspiracy to trample American liberties and force citizens into Orwellian high-density living zones. 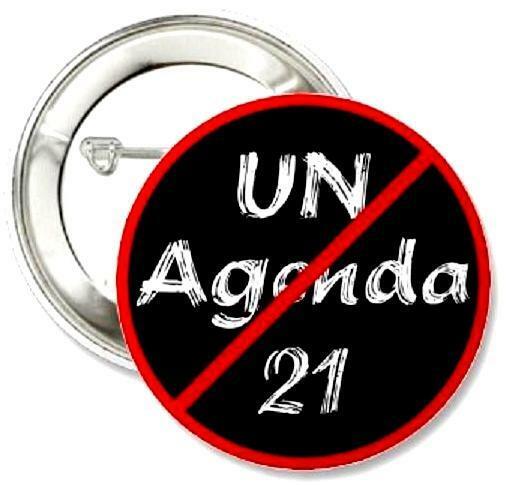 Anti-Agenda 21 activists see Agenda 21 behind everything from a septic tank inspection law in Florida, a plan in Maine to reduce traffic on Route 1, and the creation of the bike sharing programs in Colorado and as a covert attempt to create United Nations dominated communities. The activists frequently make the absurd claim that any land use plan that includes some environmental protection elements is a step in a stealth UN Agenda 21 plot even though most engaged in planning at the local level have never heard of Agenda 21, environmental goals have been included in land use planning long before Agenda 21 was created, and most citizens desire to protect local air, water, and natural resources, reduce traffic congestion, provide public transportation, and protect wetlands and fisheries to maintain the quality of life without any regard to what Agenda 21 says. The anti-Agenda 21 campaign argues that all of these local planning derived outcomes should be opposed because they are the manifestation of a UN plot. 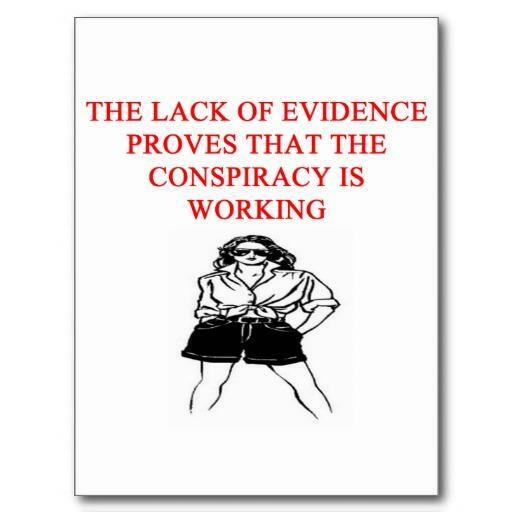 We now look at specific claims made by the Anti-Agenda 21 campaign, evaluate them to determine their veracity, and identify the tactics of the Anti-Agenda 21 campaign that can be deduced from these claims. Many observers have commented on the fact that this is a notoriously vague definition that gives no clear guidance on how to resolve conflicts between economic development and environmental protection goals. 4. Strengthening the Role of Major Groups, and. Chapters relating to environmental protection are in section 3 and include separate chapters on the atmosphere, land use planning and land resources, deforestation, fragile ecosystems, sustainable agriculture and rural development, biological diversity, biotehnology, oceans and seas, freshwater, toxic chemicals, hazardous wastes, solid wastes and sewage, and radioactive wastes. The contents of these chapters were for the most part developed by examining best practices on these issues that existed around the world in the early1990s. In fact, many of the policies in these chapters were based on existing law and policies in the United States. The chapter on the atmosphere is an exception to this because it called for control of atmospheric greenhouse gases to prevent climate change and the United States did not have laws and regulations on greenhouse gas emission when Agenda 21 was agreed to in 1992. However, the call for control of greenhouse gas emissions in Agenda 21 is much less precise than the obligations to adopt policies and practices to prevent the threat of climate change that the George H.W. Bush administration had agreed to when it negotiated and Congress ratified the United Nations Framework Convention on Climate Change in 1992. And so Agenda 21 added nothing to US obligations on climate change. 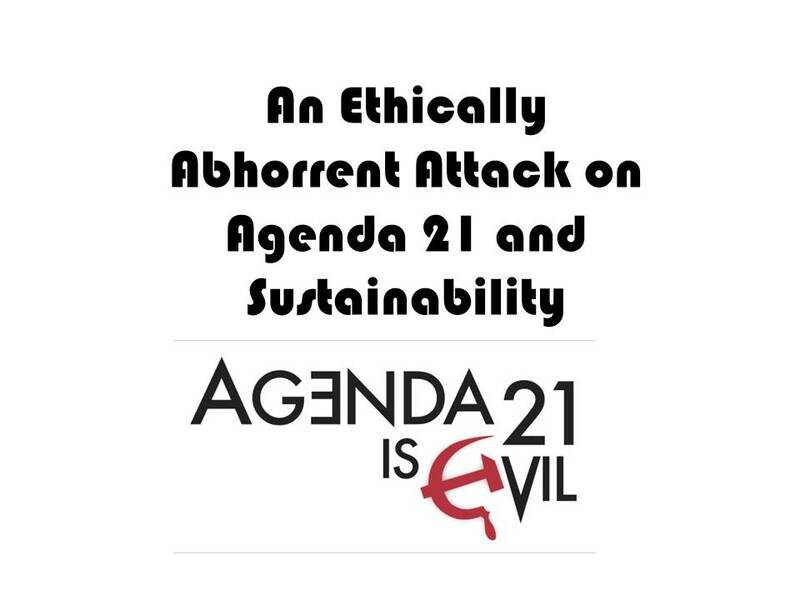 And so rather than undermining national sovereignty, Agenda 21 reaffirms it and acknowledges that nations should develop their own policies based upon their own interests to resolve potential conflicts between environmental protection and economic development goals. Agenda 21 is not binding on the United States in three ways. First, it is not a treaty, the only kind of legal document that can bind nations. Unlike a treaty, the United States has never attempted to ratify it because it was always understood to be a non-binding set of recommendations that nations should consider or reject according to their own visions of appropriate environmental protection and economic development needs. Second, Agenda 21 was never intended to obligate nations to implement its recommendations comprehensively. Its contents were understood to be only a menu of options for consideration by governments, a fact that is clear from a reading of the entirety if the text. 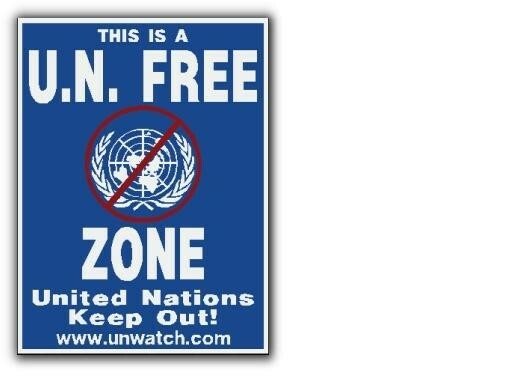 Third, Agenda 21 never created an enforcement mechanism or any process for the UN to review national laws and policies to compare what has been done at the national level in response to Agenda 21. 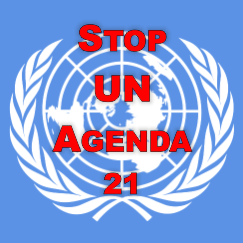 At yearly meetings on the Commission of Sustainable Development (CSD) at the United Nations, an organization created by Agenda 21, nations self-reported on what they were doing in regard to the general subject of specific Agenda 21 chapters, not on the specific provisions of Agenda 21. And so the United States usually reported on what already doing under US law on matters that were relevant to the subject matter of Agenda 21s chapters. That is, the United States reported on programs and policies that the United States had independently without regard to Agenda 21 obligations. From 1995 through 1998, I held the position of Program Manager for United Nations Organizations at the US EPA Office of International Environmental Policy. In this position I had the lead staff responsibility for the US EPA to compile reports on programs managed by EPA that were submitted to the UN CSD. In my tenure, no programs or policies were reported on that had been enacted by the United States to comply with Agenda 21. In fact, during my tenure at EPA there was no one in the US government that had any responsibility to review US law and policy in regard to the specific provisions of Agenda 21 to determine how US law or policy needed to be upgraded to conform to Agenda 21. The United States understood that it had no binding obligations under Agenda 21 to develop any new programs and that the body of US law was for the most part equal to or more demanding than recommendations in the Agenda 21’s environmental chapters. The Clinton administration, as the Bush administration before it, saw Agenda 21 as only a menu of best practices, not a list of obligations. The chief value of Agenda 21 for the Clinton administration was that it provided guidance for developing countries on how to upgrade clearly inadequate laws and policies relating to environmental protection and economic development controversies. In fact many mainstream US environmental NGOs were uninterested in Agenda 21 because they saw it as document mostly of importance to developing countries. As a result the large US environmental groups did not even participate in most discussions about Agenda 21 at the UN CSD, they believed that they had more important environmental issues to work on. Of course, some US environmental NGOs were greatly disappointed that the Clinton administration took no interest in upgrading US law and policy on the subject matter of Agenda 21 chapters. To do this the US government would need to work with Congress, and the Clinton administration had no appetite for this. The Clinton administration was engaged attempting to upgrade US law and policy on climate change but they never saw Agenda 21 relevant to this effort. As we have seen, the first Bush administration had agreed to and had ratified the United Nations Framework Convention on Climate Change under which international negotiations on climate change would proceed. Since most of the environmental provisions in Agenda 21 were based upon preexisting United States law and policy, the United States consistently reported to the United Nations on matters under existing US law that preceded Agenda 21. Opponents of land-use planning in the United States that are connected to the anti-Agenda 21 campaign frequently claim that because United States law and policy now contain provisions similar to provisions in Agenda 21, this proves the claim that the United States has been implementing Agenda 21. Such an argument completely ignores the fact that the United States and other developed countries have been adopting environmental law and regulations since the late 1960s, decades before Agenda 21 existed and the fact that the US has adopted environmental law is absolutely no evidence of the influence of Agenda 21 . There is absolutely no factual basis for the claim that United States environmental policy was created in response to provisions of Agenda 21 and such a claim is demonstratively false. And so, so all nations understood that they were not bound to change their laws in accordance with the provisions of Agenda 21. What was arguably new about Agenda 21 for most governments was the call that environmental and economic development decision-making be integrated. Agenda 21 was premised on the notion that some economic development policies that fail to take into consideration impacts on the environment will harm legitimate environmental protection objectives and environmental policies that fail to consider legitimate economic development needs will frustrate the attainment of legitimate economic aspirations. It is simply not true that Agenda 21 calls for environmental considerations to take precedence over economic development needs. In fact, a large motivating factor for the adoption of Agenda 21 was the fear of developing countries whose most important priority was getting their people out of grinding poverty that environmental laws of most interest to rich developed nations would limit their ability to proceed with economic development. Because Agenda 21 valued economic development on the same plane as environmental protection, many developing nations saw Agenda 21 as protecting their right to pursue economic development. Conversely in the United States, many environmental activists were suspicious of Agenda 21 for putting economic development on the same level as environmental protection. They were afraid that Agenda 21 put too much value in economic development. Yet Agenda 21 does encourage decision-makers at all governmental scales to consider at the same time environmental protection and economic development needs in decision-making. Because integrated decision-making allows nations to pursue both economic development aspirations and environmental protection goals, it is a way of preventing governments from unknowingly undermining these goals by focusing on only one of them. Most policy makers agree this is a good thing. If, for instance, a project is proposed to limit the use of forest resources, governments should take into consideration the legitimate economic needs of those who rely upon the forest resources for subsistence. Also, of course, economic development projects could adversely affect legitimate environmental protection goals. 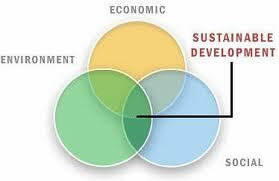 Therefore economic development projects should consider environmental protection impacts. And so, sustainable development is understood to be a call for the integration of environmental, economic, and social considerations into government decision making. It is simply untruthful to claim the Agenda 21 elevates environmental protection goals over economic development needs. Where the scope of proposed environmental, economic, or social policies conflict with legitimate environmental, economic, or social goals, the concept of sustainable development encourages decision-makers to identify these potential conflicts and work democratically with citizen groups to find solutions that achieve environmental, economic and social goals to the maximum extent possible. As this chart depicts, only when there is a potential conflict among environmental, economic, or social goals is integrated decision-making necessary. And so for the vast number of economic policies, integrated decision-making has no effect. As we shall see when we examine ethical issues raised by these matters, this idea of integrated decision-making provides no clear guidance about how to resolve conflicts among environmental, economic, and social goals. Under Agenda 21, this is left to governments to resolve working ideally with multi-stakeholder groups democratically. 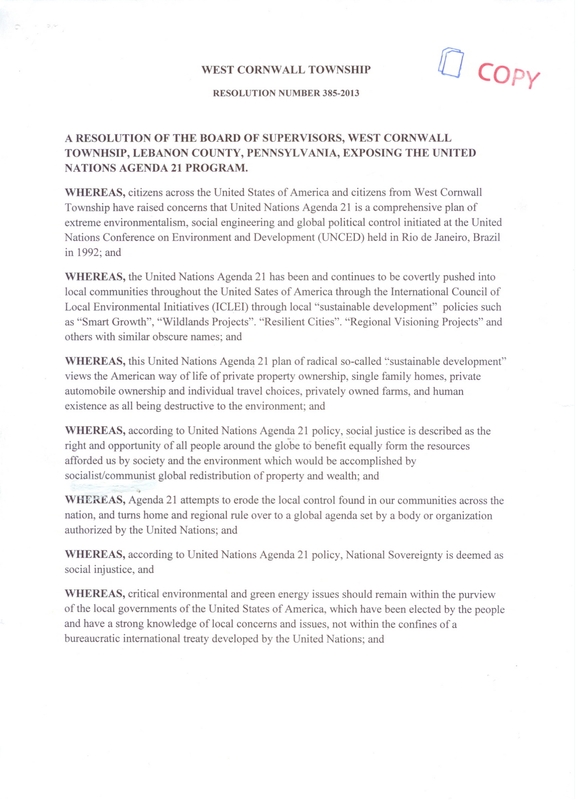 The claim that Agenda 21 is a call for international control of local government decision-making is directly contradicted by the text of Agenda 21. Section 10.6 (e) of Agenda 21 expressly calls for policy making to be accomplished at the lowest level of public authority consistent with the effective action and a locally driven approach. In addition, many other provisions of Agenda 21 specifically call for governments to make decisions at the appropriate level. (see, for example, Agenda 21 section 10.6). And so, rather than Agenda 21 establishing a “top-down”United Nations driven set of rules for imposition of radical environmental policies on nations and local governments, Agenda 21 is actually a call for a “bottom-up” stakeholder driven process that integrates environmental and economic development concerns into decision-making which should take place at the lowest possible scale consistent with the scale of the problem. Most environmental problems can be solved at the local level, others require cooperation at the regional or global level. For instance, wetlands protection can usually be dealt with at the local level, protection of water basins require cooperation among all communities sharing the basin, and problems like protection of the ozone layer, acidification of oceans, and climate change require cooperation at the global scale. Agenda 21 calls for solutions at the lowest level consistent with the scale of the problem. Rather than being opposed to economic development, Agenda 21 actually calls for the strengthening the business sector’s participation in integrated environmental and economic development decisions. In fact there is an entire chapter in Agenda 21, chapter 30, which calls for the strengthening of the business sectors participation in decision-making. Thus it is simply either a lie or reckless disregard for the truth to claim that Agenda 21 entails a “top-down” Marxist plan to abolish private sector involvement in the economy. In fact, in many places, as we have seen Agenda 21 recognizes the crucial importance of the private sector in economic development. Furthermore business organizations were regularly consulted by the United States when it responded to Agenda 21 issues and the American business community consistently agreed with positions taken by the United States on Agenda 21 issues, at least in this writer’s experience. In fact the US government often agreed with positions of the US businesses on matters about which environmental NGOs disagreed. One example was when US environmental NGOs and European countries proposed that a code of conduct for international corporations be adopted by the UN CSD. This idea was strongly opposed by American corporations and the US government on the Clinton Administration successfully prevented the UN from pursuing this idea. his greatly disappointed US environment NGOs. Similarly in 1997 the US government supported the views of the US business community while refusing to support the positions of environmental NGOs and European countries when the European Union proposed that the UN CSD adopt targets to reduce unsustainable consumption by specific percentages. The United States strongly opposed this idea at the urging of the US business community and successfully prevented this idea from going forward in the UN despite strong pleas to the US government from the US NGO community to agree to consumption targets. The anti-Agenda 21 campaign continues to make the false claim that because President Clinton established the Presidents Council On Sustainable Development (PCSD), an organization which met from June of 1993 to June of 1999, the United States has implemented Agenda 21 throughout the United States. (For an in depth review of the purpose, accomplishments, and failures of the PCSD, see Dernbach, Learning from the President;s Council on Sustainable Development: The Need for Real National Strategy) The PCSD was created by Executive Order of President Clinton to give advice to the US government about how to move toward sustainability. The membership of the PCSD was made up of roughly equal numbers of individuals from industry, government, and NGOs and was chaired by Ray Anderson, Chairman and CEO of Interface, Inc., a carpet manufacturer, and Jonathan Lash, President of the World Resources Institute. Included among the PCSD members of were Enron, BP Oil, Dow Chemical, and General Motors. pollution, waste, and poverty—must not. This is hardly the vision of a radical socialist agenda. In addition, the PCSD’s recommendations are replete with many express acknowledgements of respect for the power the market and private decision-making. It is simply not a reasonable interpretation of the work of the PCSD to conclude that it recommended the transformation of American society to a socialist future. Furthermore the PCSD was established as an advisory committee. It did not have any statutory authority of its own, nor was it located within an agency that had any statutory authority. If the US government choose to ignore its recommendations, nothing would come of them. In fact, that is what happened to the PCSD. The last major event in the PCSD’s life was a national town meeting in Detroit in May of 1999. After the Detroit meeting, the PCSD shut down and as we have noted the Clinton administration took no steps to implement the PCSD’s recommendations. The George W. Bush administration completely ignored the recommendations of the PCSD. And so nothing meaningful came out of the PCSD. Therefore, there is simply no basis for concluding that the PCSD led to the implementation of a radical environmental agenda in the United States. The claim that the PCSD’s work is evidence of the continuing UN’s covert implementation of Agenda 21 is not just misleading and false, it is a staggering example of reckless disregard for the truth given the unwillingness of both the Clinton and George W. Bush administration to take any steps to implement the PCSD recommendations. The evidence proffered by the anti-Agenda 21 campaign in support of the fact that the PCSDs recommendations have been implemented is the existence of environmental law and regulation at the federal, state and local level throughout United States. However there is no evidence that existing US law and regulation on environmental matters had anything to do either with Agenda 21 or the work of the PCSD. The anti-Agenda 21 campaign frequently claims that Agenda 21 is being covertly implemented through organizations that have been created to implement Agenda 21 while disguising their intentions by changing their names to organizations with the names such as the “International Council on Local Environmental Initiatives (ICLEI),” ” Smart Growth,” “Wildlands Projects,” “Resilient Cities,” and “Regional Visioning Projects.” In making these claims the anti-Agenda 21 campaign is explicitly arguing that those engaged in these programs are doing so to implement Agenda 21. That is these organizations are pursuing their goals because of the Agenda 21, not because they independently see benefits from sound growth, responsible land-use or transportation planning, or the creation of bike lanes for reasons other than Agenda 21. The chapter in Agenda 21 on local authorities, Chapter 28, is only slightly longer than one page. It contains no prescriptions in regard to the content of local sustainability programs. This chapter simply says that each local authority should enter into a dialogue with its citizens, local organizations, and private enterprises and adopt a local Agenda 21. There are simply no minimum conditions for what constitutes a local Agenda 21. The clear objective of this chapter is that communities determine the content of local Agenda 21s through collaborative examination of their own needs for appropriate environmental, economic, and social policies. Given this it is absurd to conclude that the contents of any local sustainability program were formed by Agenda 21. Those engaged in the anti-Agenda 21 campaign are unable to identify a link between these organizations and Agenda 21 or the United Nations other than claiming that these organizations are working on subject matter which is also covered in Agenda 21. No one in the United Nations reviews local sustainability plans to determine if they are minimally consistent with Agenda 21. There is simply no formal institutional connection between the United Nations and local governments except for the fact that the UN keeps some track of local sustainability programs and occasionally convenes meetings to allow local communities to learn from each other about how to construct local sustainability programs. The United Nations does not review or pass on the acceptability of these programs. 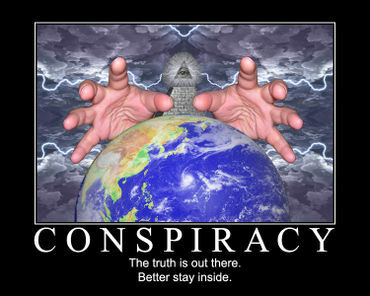 Moreover, much of the land use, transportation, and energy planning that is under attack by the anti-Agenda 21 program has not been conducted by these organizations, they simply are the product of local government planning processes led by staff that often never heard of Agenda 21 nor ever worked with organizations such as ICLEI. Yet, even in the cases where local land use plans have been produced by local planning organizations working with local stakeholder groups rather than the named organizations, the anti-Agenda 21 argues that these plans are part of a United Nations plot. The only evidence that these named organizations are covertly pursuing the implementation of Agenda 21 proffered by the anti-Agenda 21 campaign is that these organizations are doing work similar in content to the focus of several Agenda 21 chapters. Yet such an argument completely ignores the possibility that those working for these organizations are pursuing the organization’s goals because they believe that responsible planning is worthy of pursuit on its own terms because of the ability of communities to implement a vision of the future derived in planning processes. The anti-Agenda 21 campaign offers no proof that people working for these organizations have been motivated by the desire to implement Agenda 21. Given that, as we have seen, that most of the environmental provisions of Agenda 21 were based upon environmental laws and policies that existed before Agenda 21 came into existence it is preposterous to assume the people working for these organizations have been motivated primarily by the provisions of Agenda 21. There is simply no evidence that people engaged in these organizations are taking orders from, report to, or are responding to wishes of United Nations. Even if they were, given that Agenda 21 is a menu of options, not a set of rules, local governments are completely free under Agenda 21 to determine which environmental and economic issues will be taken into consideration in their local planning. However, this does not stop the anti-Agenda 21 campaign from attacking local planning on the basis that it is part of an UN Marxist plot to destroy private property. Embedded in this claim are two assertions about Agenda 21 that are directly contradicted by the text of Agenda 21. One is the claim that Agenda 21 encourages the destruction of property rights. The second is the claim that Agenda 21 elevates environment protection goals over the interests of people. These two claims are very frequently made by the anti-Agenda 21 campaign yet directly contradicted by Agenda 21. Section 8.18 of Agenda 21 provides that governments and legislators should establish judicial and administrative procedures for legal redress and remedy of actions affecting environment and development that may affect rights. Agenda 21 section 10.5 expressly says that property rights should be taken into account in land use decisions. And so, not only is there no support for the claim that Agenda 21 encourages the elimination of property rights, as we have seen Agenda 21 says the exact opposite. Rather than elevating environmental protection over human interests, Agenda 21 expressly incorporates principal one of the Rio Declaration that says that human beings are at the center concern for sustainable development. And so, the idea that Agenda 21 makes human interests subservient to environment protection goals is directly contradicted by the text of Agenda 21. Although it is true that Agenda 21 encourages people to live in harmony with nature, Agenda 21 does not discourage the use of natural resources to meet human needs except to the extent that it encourages decision-makers to consider how the overuse of natural resources will undermine the quality of life for present and future generations. Even in this case, human interests are the basis for concern about the environment. Also, local governments are completely free to decide which issues it will consider in land use planning. And as we have seen above, Agenda 21 also incorporates principle two of the Rio Declaration that expressly says that nations have the sovereign right to exploit their own resources pursuant to their own environmental and development policies. This provisions make nations sovereign over natural resources, not the Unite Nations while reaffirming national sovereignty. Once again, the anti-Agenda 21 campaign is making claims that are demonstratively false. Claim 4. Under Agenda 21, social justice is described as the right and opportunity of the people around the world to benefit equally from the resources afforded us by society and the environment which would be accomplished by socialist/communist global redistribution of property and wealth. (West Cornwall Township Resolution). 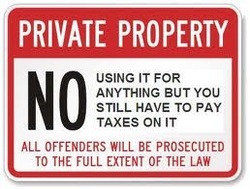 As we have seen, Agenda 21 expressly encourages property rights to be honored and for governments to establish civil procedures to redress the unlawful taking of property rights. The absurd notion that agenda 21 calls for the redistribution of wealth according to socialist/communist goals is nowhere be found in Agenda 21 and as we have seen Agenda 21 expressly calls for the strengthening of the private sector participation in decision-making in many places including an entire chapter of Agenda 21, Chapter 30. Agenda 21 does call for more foreign aid from developed countries to assist poor developing countries with poverty alleviation. This however is simply a call for more foreign aid, not a request for redistribution of wealth pursuant to some socialist/communist theory. Chapter 33 of Agenda 21 calls for developed nations to provide 0.7% of GDP for foreign aid to poor developing countries. The United States, however, made it clear when it signed Agenda 21 in 1992 by making a special statement on the issue that it did not agree with this goal and was not in any way bound by it. This disclaimer was originally made by the George H.W Bush administration and was strongly and frequently repeated in the Clinton administration during meetings of the United Nations Commission on Sustainable Development. In fact, when I was on the US delegation in 1997, when several developing nations criticized the United States for being in last place among developed countries in percentage of GDP devoted to foreign aid, with only 0. 1 % of US GDP devoted to foreign aid compared to 10 times as much in some European countries, the Clinton not administration strongly repeated its position that the US rejected the 0.7% of GDP goal. It further said that the principle way to help developing nations economically was to help them them to attract private sector investment. And so, the claim that Agenda 21 will lead to a Marxist/communist redistribution of private resources is another staggering delusional claim made by the anti-Agenda 21 campaign. III. Conclusion to this First in a Series on the anti-Agenda 21 Campaign. So far we have seen that four claims repeatedly made by the anti-Agenda 21 campaign are so demonstratively false, misleading, inaccurate about Agenda 21 that they can only be explained as the result of paranoid conspiracy theory about the United Nations or by a reckless disregard for the truth. Yet, we have seen that this delusional phenomenon has been successful in undermining local and regional planning and amazingly convincing the Republican party to accept and adopt in their party platform claims that are contradicted by the very document on which the claims are based. Later entries in this series will continue the examination of specific claims made by the anti-Agenda 21 campaign, deduce from all these claims the tactics that have been deployed by the anti-Agenda 21 campaign and subject these tactics to an ethical analysis. In a later blog we will also examine who appears to be behind this disturbing development in US affairs. This paper examines ethical issues entailed by wind power, a technology that holds great hope for reducing the threat of human-induced warming but like all climate change solutions has several potential adverse environmental impacts. Recently opposition to wind projects has grown in the United States and several other countries as opponents have objected on the basis of potential adverse environmental and social impacts from proposed wind projects. Wind power is a hopeful solution to the threat of climate change because it consumes neither fuel nor water and emits no greenhouse emissions strictly related to electricity production. Yet wind power can cause some adverse impacts to wildlife including deaths to birds and bats and some potential harms to people living near wind projects through the aesthetic degradation of natural landscapes and noise irritation to nearby residents. Transmission lines built to move wind power from project sites to electrical grids can create adverse land impacts of several different types. However, care in locating wind power projects can minimize or sometimes eliminate these potential adverse environmental and social impacts. Because climate change is a civilization challenging threat to human health and ecological systems on which life depends, solutions to climate change including wind power must be evaluated in relation to the problem for which they are a potential solution. Because climate change has existing and growing devastating impacts on current humans, future generations, ecological systems on which life depends, any ethical analysis of solutions to human-induced warming including wind power must take into account the responsibilities of those who are causing or contributing to climate change to reduce their greenhouse gas emissions. It is beyond the scope of this paper to evaluate in great detail the magnitude of potential adverse environmental impacts from wind power. Without doubt, wind projects have been known to kill some birds and bats, interfere with the aesthetic enjoyment of some landscapes, and create some noise problems for people living very close to large wind projects. However, proponents of wind power argue that wind power’s adverse environmental impacts are minor compared to other energy technologies that would constitute alternatives to wind power or that are currently the source of electrical generation. Thus they argue that wind power is very environmentally benign compared to available electricity generating alternatives. In addition they argue that any adverse impacts that could be caused by wind power can be avoided or greatly minimized through thoughtful project siting decisions. To the extent that wind power projects can be implemented in ways that minimize or avoid adverse impacts to wildlife, aesthetic values, or harmful land uses, wind power projects should be located, designed, and constructed to minimize these adverse impacts. Yet the adverse impacts to wildlife and birds, landscapes, water, human health, and ecological systems are likely to be much greater from human-induced warming than from wind power projects. Wind power projects may kill some birds and bats if unwisely located, but climate change is likely to kill entire species of birds and bats and other wildlife not threatened by wind power. In addition fossil fuel generated energy causes adverse impacts to human health and ecological systems that are not caused by wind power. Climate change is not only a future catastrophic problem, it is already believed to be killing people around the world in increased vector borne disease, droughts, heat waves, floods, and intense storms. Wind power has not caused these problems at all. Some regions of the world are already clearly affected by human-induced warming. For instance, according to the IPCC, precipitation that can cause deadly floods is already increasing significantly in eastern parts of North and South America, northern Europe and northern and central Asia, while precipitation is declining in the Sahel, the Mediterranean, southern Africa and parts of southern Asia and contributing to diminished food supply and freshwater needed for agriculture and drinking (IPCC 2007: 17). Climate change-caused harms that are already being experienced by some people are of many types including, but not limited to, death, disease, ecological harm, floods and droughts, rising seas, more intense storms, and increased heat waves (IPCC 2007). These harms will grow in the years ahead even if it is possible for the international community to stabilize atmospheric greenhouse gas emissions at current levels. That is, increased warming will continue even if atmospheric greenhouse gas levels are held constant because of thermal lags in the oceans and other delays in the climate system. It is simply too late to prevent additional climate change-caused suffering. To stabilize atmospheric concentrations of greenhouse gases at current levels will require huge reductions from current emissions levels. Therefore those who are opposing wind power projects are very likely already contributing to environmental destruction and human suffering around the world. This fact, as a matter of ethics, should disenfranchise those opponents of wind power who object because of potential harms to themselves as long as they are contributing to much worse environmental harms to others from climate change. All major ethical systems hold that people have obligations not to harm others, regardless of where they are located around the world. That is, utilitarian, rights-based theories, and justice-based ethical theories hold that humans have duties to not harm others regardless of their location (Brown 2012: Chapter 7). Different ethical theories will reach different conclusions about how duties should be allocated among people who are causing great harm to others but almost all ethical theories agree that human beings have duties to not harm others without regard to where in the world they live. Because individuals have duties to not harm others, governments have duties to not harm others outside their jurisdictions because these governments are the locus for creating policies that achieve the duties and responsibilities of their citizens (Brown 2012: Chapter 8). For this reason, both the governments themselves have duties to reduce greenhouse gas emissions under their control to their fair share of safe global emissions and individual citizens have duties to do all in their power to assure that their governments reduce greenhouse gas emissions to levels required by distributive justice because: (a) governments in a democracy can be understood to be a means of implementing the collective responsibilities of their citizens, and (b) individuals also have responsibilities to not harm others. For this reason, individuals that are emitting greenhouse gases in excess of their fair share of safe global emissions not only have duties to generate their power needs from more climate friendly technologies such as wind power, they have duties to support government policies to reduce the threat of climate change through greater reliance on renewable energy. It is quite clear that the vast majority of regional and local governments, organizations, businesses, and individuals in developed countries may not reasonably argue that they are not far exceeding their fair share of safe global emissions because of the enormous reductions in current levels of greenhouse gas emissions that will be necessary to stabilize atmospheric concentrations of greenhouse gases at safe levels. Climate change will put into jeopardy the very lives, health, and indispensable natural resources upon which lives of hundreds of millions of people around the world depend, while most gravely threatening the poorest people who are also usually the most vulnerable. And so, climate change is a threat to things that are the minimum material conditions for human life and it is interference with the dignity of human life that is usually the predicate for recognizing that human rights have been violated. In fact, climate change is currently threatening the very existence of nations like the Maldives and Kiribati. These facts demonstrate that excess greenhouse gas emissions violate basic human rights, a conclusion that strengthens the obligations of individuals and governments to replace fossil fuel energy with renewable energy. And so wind power projects not only satisfy the ethical obligations of individuals in regard to future energy consumption, they help individuals meet their obligations to reduce the harms that are coming from their existing energy consumption practices. For these reasons those who object to wind power projects on the basis of some adverse harm to themselves may not object to wind power projects or other comparatively benign renewable energy technologies that could lower their carbon footprint unless they can demonstrate that they are not currently exceeding their fair share of safe global emissions. This is particularly the case when the adverse impacts from wind power on which they base their objection are harms to themselves while they to continue to engage in activities that are generating significant levels of greenhouse gases that are undoubtedly exacerbating great harms to tens of millions of people around the world. For this reason, no person who is responsible for emitting greenhouse gas emissions at levels greater than their fair share of safe global emissions should be able to object to wind farm projects other than to assure that any new wind power project minimizes avoidable adverse impacts. The need to assure that the process of approving wind power projects with ethical norms designed to prevent corruption and conflicts of interest in the approval process (for a good discussion of these issues see, Sutton 2012). The need to assure that all potential adverse environmental and social impacts that could be caused by proposed wind power projects are adequately identified (see Sutton 2012). Ethical issues that arise because of the deceptive practices of some corporations and free-market fundamentalist organizations that have created front groups and astroturf groups (fake grassroots groups) that disguise the real parties in interest. (Goldenberg 2012). This funded opposition is ethically troublesome because it uses deceptive tactics designed to give the false impression that opposition to wind power projects is a spontaneous “bottom-up” citizen opposition when it has sometimes been funded by those who have economic interests in maintaining or increasing fossil fuel consumption (Goldenberg 2012). Intergovernmental Panel on Climate Change (IPCC) (2007), Summary For Policy Makers, Synthesis Report, Contribution to Working Groups I, II, and III to the Fourth Assessment Report of the Intergovernmental Panel on Climate Change, Geneva, Switzerland, Available at: http://www. ipcc.ch/publications and data/ar4/syr/en.contents.html.